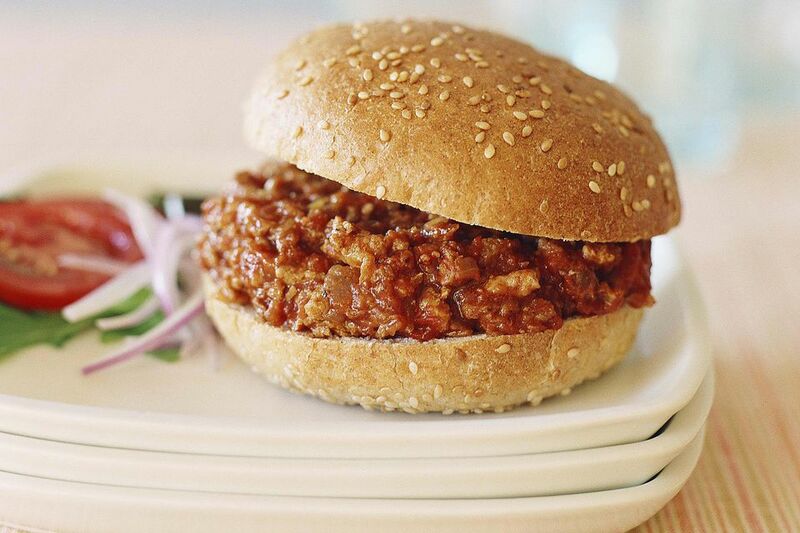 The secret to a great Sloppy Joe sandwich is slowly simmering the beef and sauce down into a rich, tender paste. You should always serve Sloppy Joes with a fork, but you should never need to use it. Place the ground beef and onions into a cold, large skillet and put over medium heat. Cook stirring until the beef begins to brown. As it cooks, break the meat into very small pieces with a spatula. The smaller the better. Add the garlic and green pepper; cook stirring for 2 minutes. Add 1 cup of water. Bring to a simmer, scraping the bottom of the pan with a spatula to dissolve any browned bits. Stir in the ketchup, brown sugar, mustard, Worcestershire, salt, pepper, and last cup of water. Bring to a simmer, reduce heat to low, and simmer for 30-45 minutes, or until most of the liquid has been evaporated, and the meat mixture is thick, rich and tender. Taste and adjust the seasoning. Serve hot on soft rolls.